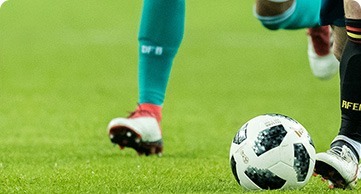 10Bet Asian Handicap Betting is designed for people who enjoy wagering on the outcome of a sports match but are looking for something that offers an advantage over traditional techniques. The handicap eliminates the draw and leaves you free to focus on whether a team will either win or lose a match. This bookmaker is rapidly making their mark, offering free bonuses and other perks to players who use a handicap. They have a sizable pre match handicap market and also offer a variety of options to punters who want to bet using a handicap while a game is in play. The 10Bet Asian Handicap can be used with several sports, including football. 10Bet offers more than 25 different sports in all for you to bet on. What is the selection of Asian Handicap bets at 10Bet? 10bet is licensed to offer a fine selection of Asian Handicap Bets to punters throughout Europe. You can use 10bet Asian Handicap Betting whenever you want to improve your chances of winning your bet. It reduces the number of possible outcomes to two so your chances of winning are 1 in 2. Some of the more popular sports to bet on at 10bet using the Asian handicap are rugby and football. In any game that you bet on, a handicap will be given to each depending on their relative strengths. This helps to even up the odds between them a little. When the odds are more similar, punters have more opportunities to bet. 10bet also offers the 3 way handicap. This allows you to be on a football game using a draw outcome. If you miss the extra risk associated with having the draw but still want many of the advantages of using a handicap, the 3 way handicap is a good option which is offered by this bookmaker. 10bet settles each bet according to the score line. If you bet on the result of the game at halftime using an Asian handicap, 10bet will settle the bet according to the halftime result. if you bet on the results of the game after 90 minutes, in a football match, 10bet will settle the bet at the end of 90 minutes, based on the goals. What are the Asian Handicap betting odds at 10Bet? The Asian Handicap betting odds in 10bet vary with each line. They will also change from time to time as the market fluctuates. This can be advantageous to punters because it means you may be able to use the changes in the betting odds offered by 10bet in the Asian Handicap market to predict the behaviour of the odds in the traditional betting market. In any game, betting odds in 10bet for the Asian Handicap will be different for each team. For example, with Bayern Munich vs Arsenal, odds on AH -0.75 for Bayern may be 1.80. In the same match, 10bet odds on Arsenal for AH +0.75 may be 2.15. When choosing which handicap line you will use for your bet, it pays to compare the odds being offered by the bookmaker for different lines at that particular time. In some cases, less popular lines, such as AH 0.75, may offer you a bigger payout. Does 10Bet provide Asian Handicap bets at Live Betting? You can enjoy Live Betting using any Asian Handicap option that suits you. For example, suppose you want to bet on a match involving Arsenal and Bayern Munich. If the odds being offered on Bayern Munich are 2.0 on an Asian Handicap of 0.75, you would win if Bayern win or draw the match. For example, if Bayern get 3 goals and Arsenal get 2 goals, the handicap of 0.75 would be added to Arsenal’s goal total, giving them 2.75. However, Bayern’s score would be higher than that, so they would still win. If Bayern lose with a goal difference of one goal, you would lose half of your stake. Asian Handicap bets at 10bet usually change for each match. They are shown as + or – for each team. For example, in a game with Bayern Munich and Arsenal, where Arsenal may be regarded as the weaker team, they may be given an advantage of AH +0.75. Bayern’s handicap would be shown as AH -0.75. Are there any special rules for betting with Asian Handicap at 10Bet? Bookmakers always try to make the experience of using the Asian handicap as much fun as possible for punters. The 10bet Asian Handicap has a few rules which apply to it. Once you place your bet using the Asian handicap, you cannot change it. If a penalty shootout occurs in a game where you have bet using a handicap, the points scored in the penalty will count towards the final score. Additional penalties after the first 10 count as well. This is modified slightly with the Asian Over/ Under, where penalties after the first 10 are not included. Bets are void if the match does not go to a penalty shootout or a match is abandoned. Punters who violate these rules may be suspended from betting at the bookie or worse. 10bet Asian Handicap Betting is popular among football punters but the bookmaker, just like many other bookmakers, offers asian handicap lines on other sports as well. For example, you can bet on tennis with the Asian Handicap. Odds for each match are displayed and you should place your wager using funds from your account before the game starts. Your win or loss will be determined by the number of points scored by both teams or players. Enjoyed betting live on the tennis. My nerves were shot! How would you rate 10Bet?